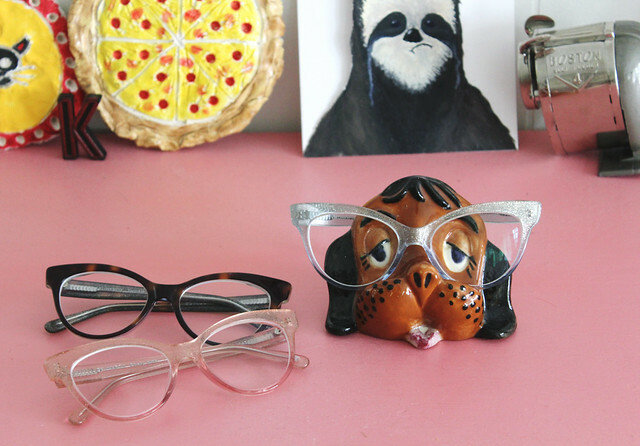 **I thrifted this cute spectacle holder to display my favorite BonLook glasses. 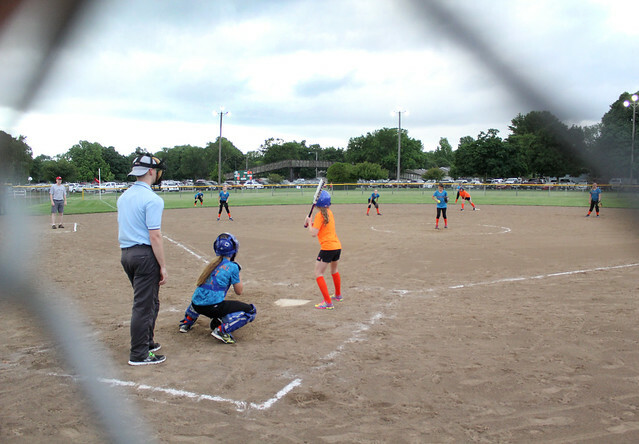 **Hope had her first softball game this week. Though she's not totally clear on all the rules yet, she brought her A-game and even stole a couple of bases. Ha! 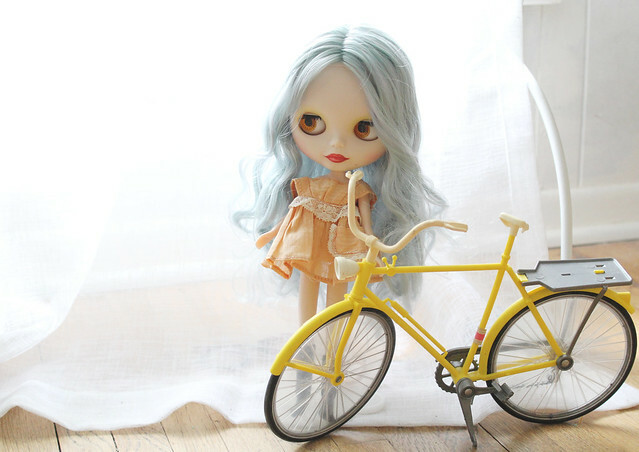 **My newest Blythe doll getting some attention. 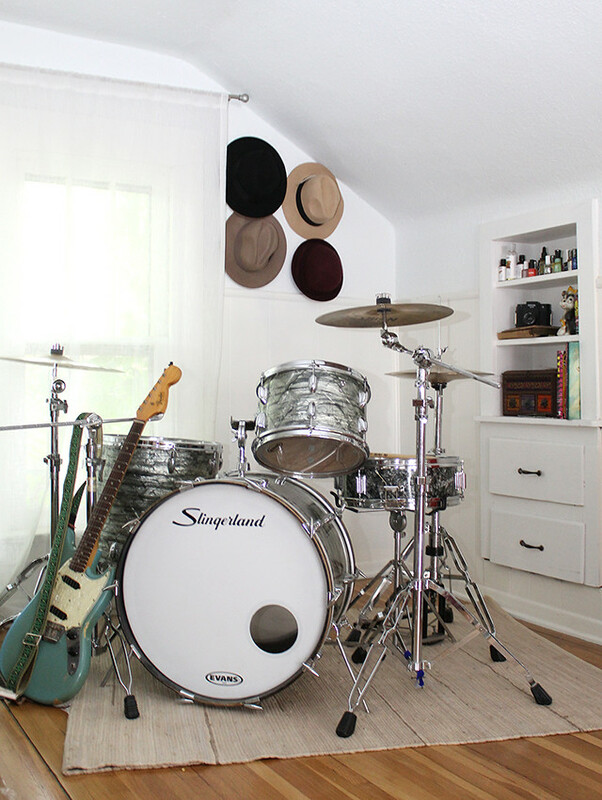 **We've been moving stuff around in our bedroom so Johnny could set his drums up. I was practicing bouncing my external flash off the walls and ceiling for this photo-- it's good to keep sharp on that kind of stuff. 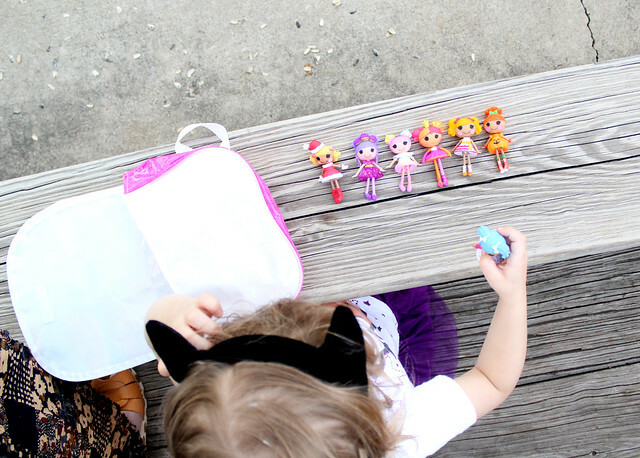 **Poesy and her Lalaloopsy dolls and cat ears. I typical scene. **Porch days are here again. I love watching the rain under a blanket here. 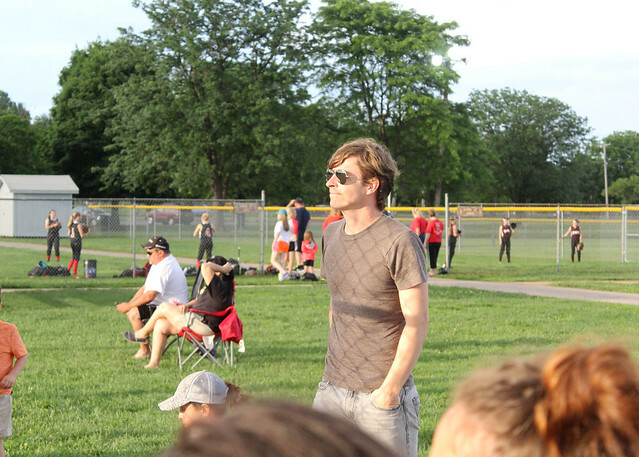 **Johnny at the ballpark. I rarely get candid photos of him before he notices the camera and squirms, so I appreciate in-the-moment pictures like this. I hope you all have had a wonderful week! I can't believe Friday is here again already! xo. Eee! I want that eyeglass holder! What a cute idea. Blythe! 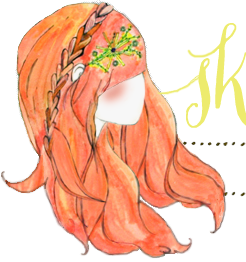 I wasn't expecting to see a Blythe while reading through my sewing blog list, so that was fun! 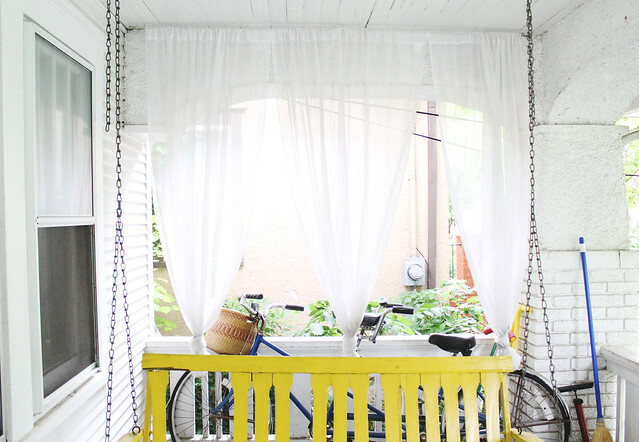 Porch days are the best! I can't even with that glasses holder!